After taking a month off of holiday baking (and keeping my “eat well” New Year’s resolution!) 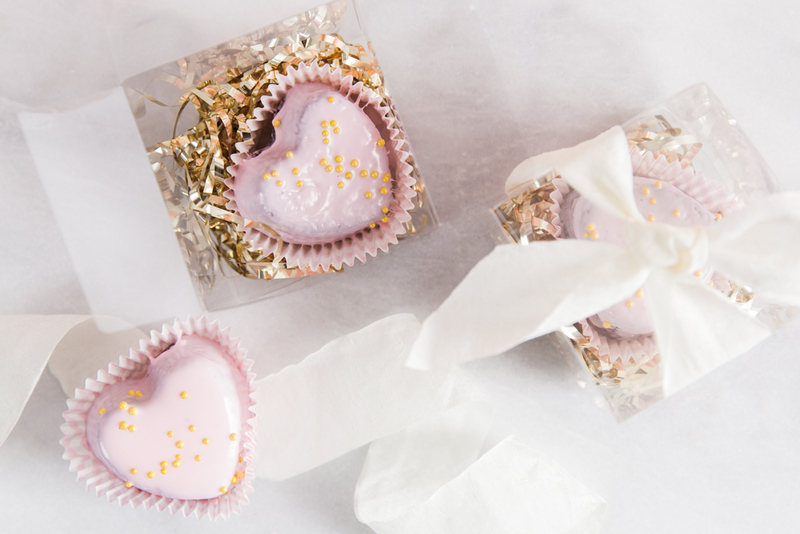 I get so excited about baking something sweet and homemade for Valentine’s Day. 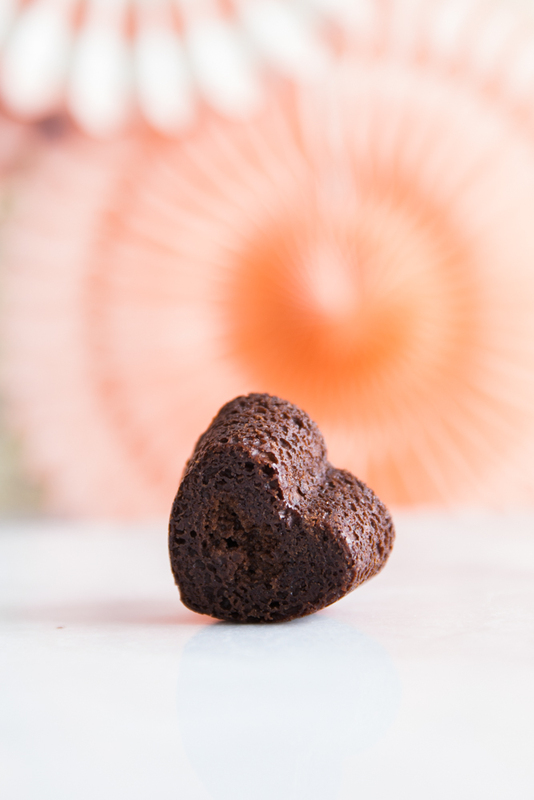 Making these sweet, heart-shaped brownie petit four favors is so easy. Basically two steps to a really pretty and heart-felt treat or gift using ingredients I always keep stocked in my pantry. Generously spray the tin with a non stick cooking spray and wipe off any over spray. Then fill each spot about 2/3 full and bake according to the box (mine took about 25 minutes). When they’re done, let them cool in the tin for a few minutes and then gently remove each brownie heart to cool. Quick Tip: The benefit to baking the brownie hearts in a tin is that there are no cut edges to make crumbs and the brownie stays fresh longer. 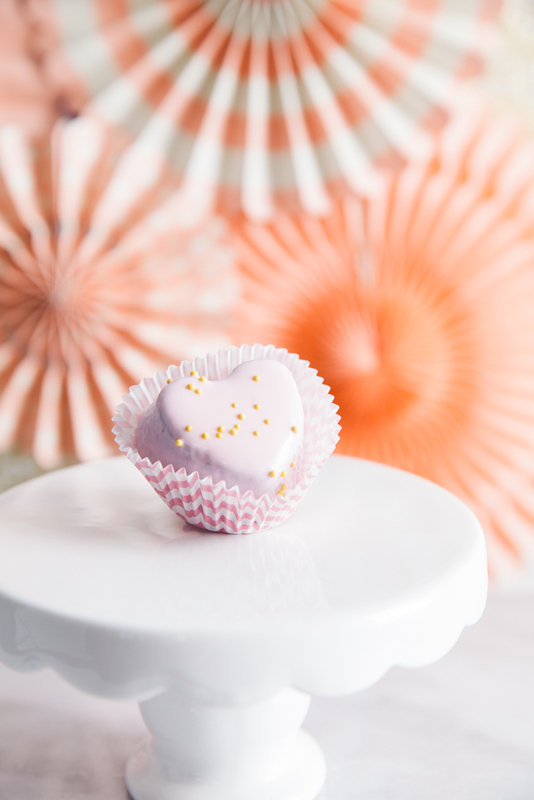 To make the hearts look like petit fours, warm about half a can of frosting over medium/medium-low heat on the stove in a sauce pan. As the frosting warms, it will become like a glaze. Glaze one heart at a time, using a big spoon to spoon the glaze on to the brownie, right over the pan. My secret trick? 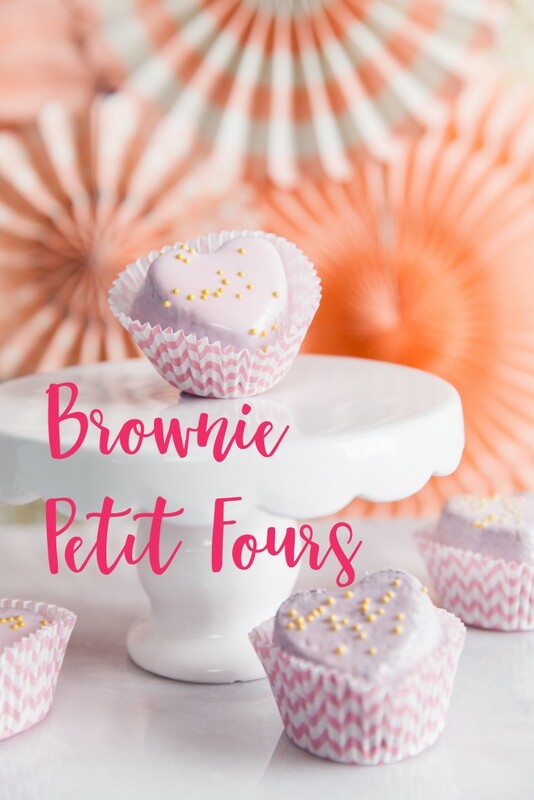 Use the bottom of the brownie as the top of the petit four. It will be perfectly flat! To cool and let the glaze set, the brownie will rest on it’s top-now-bottom (this is also the perfect time to decorate with some sprinkles!). 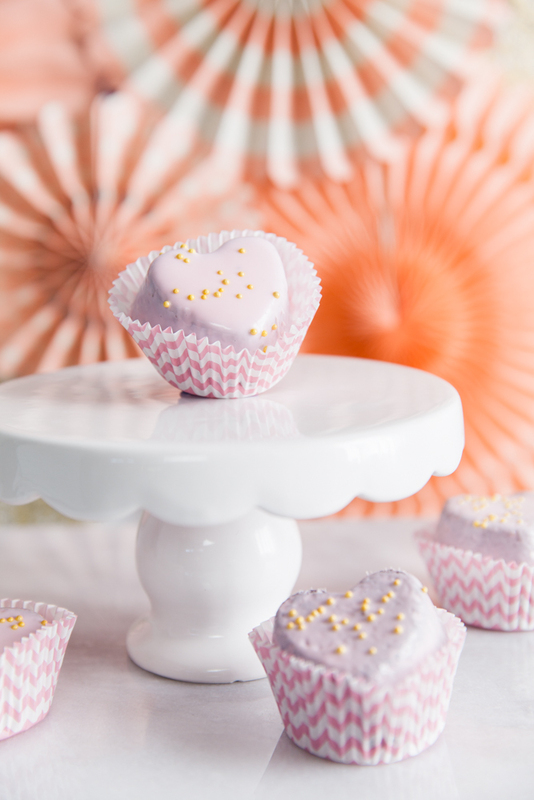 When the glaze has cooled and set, move the petit four to a cupcake liner for a perfect way to serve or gift them. 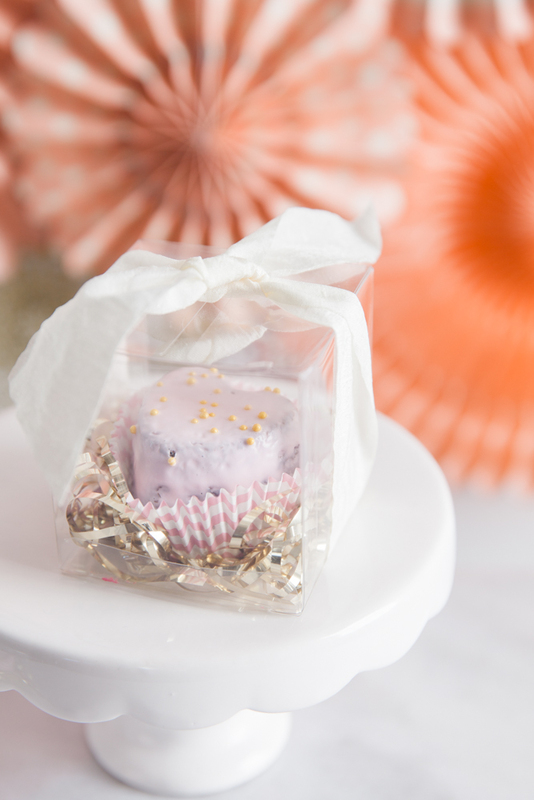 These make adorably sweet gifts and one petit four is the perfect afternoon treat. I used a little gold shred and a clear box finished off with some ribbon to wrap these up. Vivi took one for each of her teachers and (by her suggestion) we left one as a surprise in Dad’s truck! I’m pretty sure he ate it on the way to work with his coffee! I appreciate a beautiful and well packaged thoughtful gift – and I like giving Vivi the opportunity to participate in the making of them. I also love that Pillsbury and WalMart make it so easy to shop for and mix up yummy treats – and memories – for my family. We’ve had so much fun mixing up family moments and baking with Pillsbury this month. We hope you’ve enjoyed our Petit Four Brownie Favors and Gameday Brownie Bites as much as we have. If you try making one of these, share a pic with us on our Facebook page or on Instagram by tagging @stacyofksw or using the hashtag #KSWRecipes.